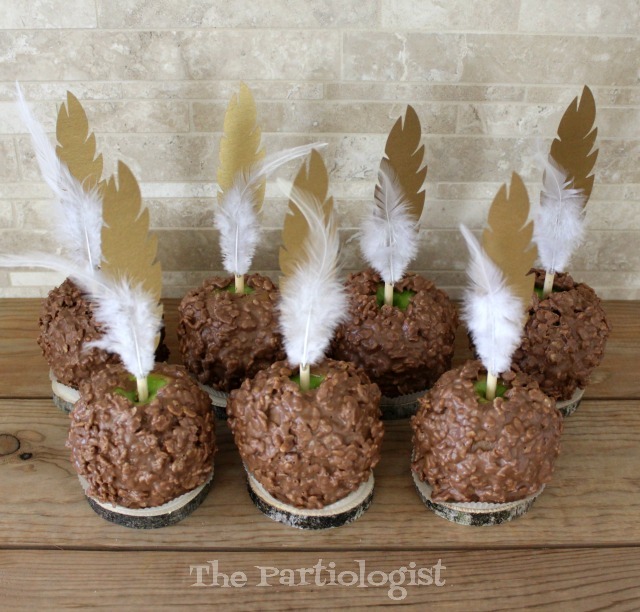 The Partiologist: Tribal themed Oreo's and Caramel Apples! Tribal themed Oreo's and Caramel Apples! It wouldn't be a party unless there are a gazillion take home treats. 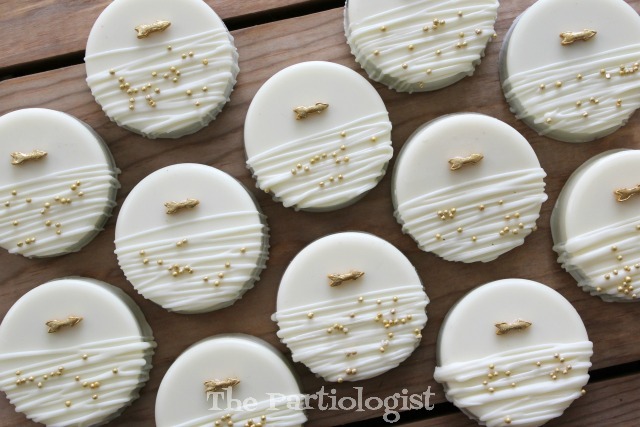 I have so much fun creating the treats and soon it hits me...I invited them for lunch, so that means I need to cook. Like make something that doesn't involve sugar. 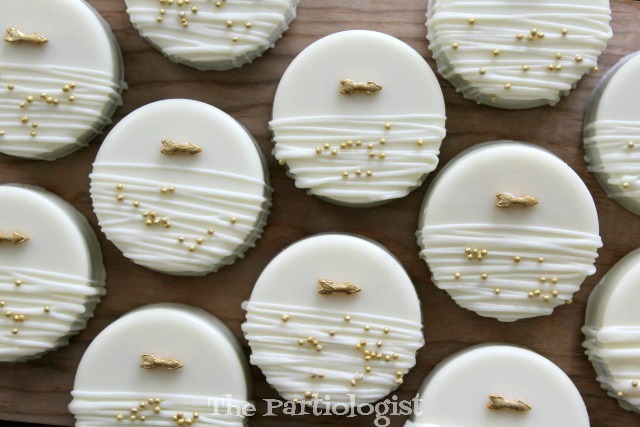 But first, let me show you all the sugary sweet Tribal Treats I made. Seriously, the easiest thing to make. 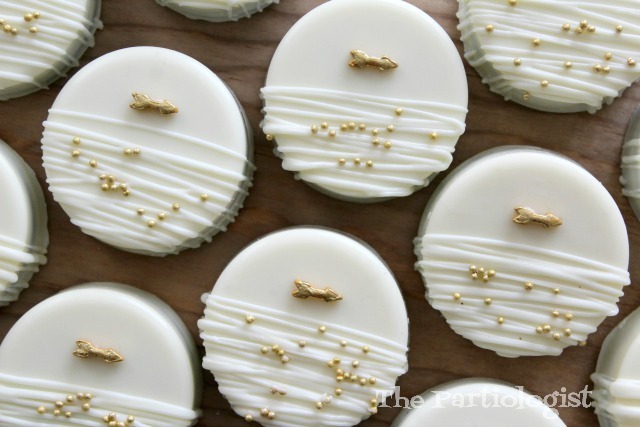 I coated the Oreo's in white candy melts and topped with a drizzle of candy melts and a gold arrow and gold dragees. More treats for the tribe to come! 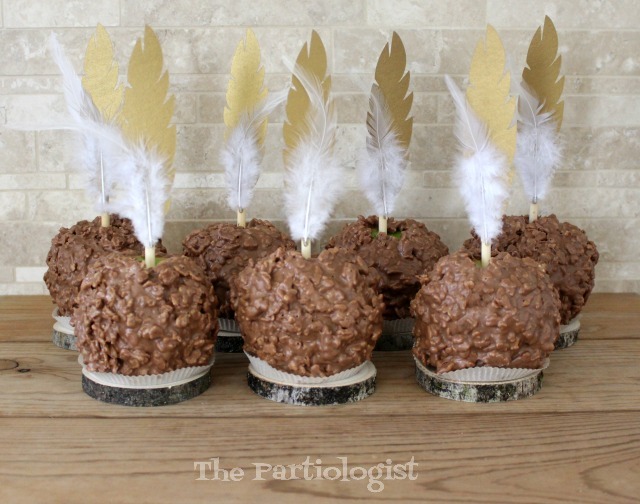 Another favorite were the Caramel Apples. First dipped in caramel, then Rice Krispie filled tiger butter. Adorned, or should I say adored with gold and white feathers. 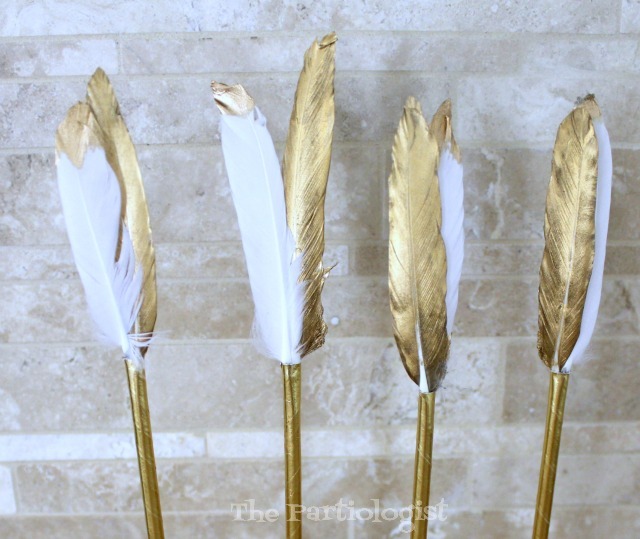 I cut the gold feather with my cricut and hot glued the two feathers together. Then they were both glued to the caramel apple stick after the caramel apples were dipped. And yes, they taste as good as they look! Do you want the tiger butter recipe? More Tribal Treats to Come! 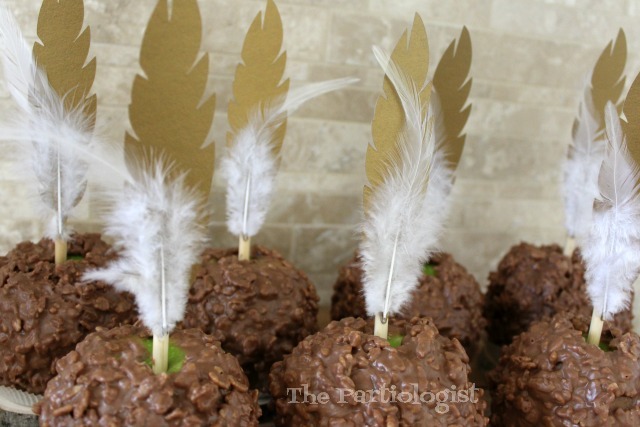 Ooooh, I love how you dipped the caramel apples in tiger butter and rice krispies. YUM! 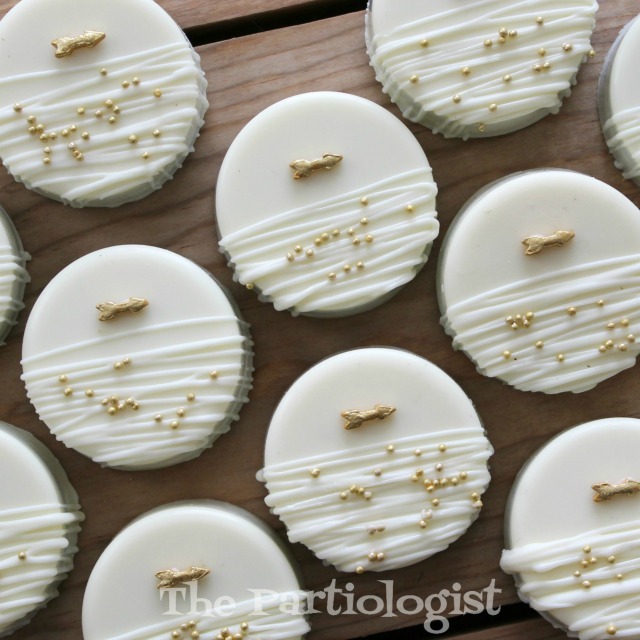 One of my favorite chocolate bark recipes blends peanut butter with white chocolate, milk chocolate and rice krispies. It is SO good. I can't wait to try it on a caramel apple. You need to add your recipe to this post!! !